WorldMovieStore - The Ides of March Sinopsis. Director-star George Clooney's The Ides of March is the perfect film to mirror our time, when the approval rating of the United States Congress is at an all-time low and the divisions between the two major parties and their constituents are wider than ever. Right-wingers won't like the fact that the central politician (Clooney's Governor Mike Morris of Pennsylvania, who's running for president) is a liberal Democrat who advocates raising taxes on the rich, supports a woman's right to choose, and may be an atheist ("My religion is the Constitution."). The backdrop is the Ohio Democratic primary, a tight race between Morris and a senator from Arkansas. Both candidates have smart, able folks working for them, with Morris's world-weary campaign manager, Paul Zara (Philip Seymour Hoffman), and idealistic press secretary, Stephen Meyers (Ryan Gosling), countered by the opponent's shrewd campaign leader, Tom Duffy (Paul Giamatti). --Sam Graham. Read More Sinopsis. 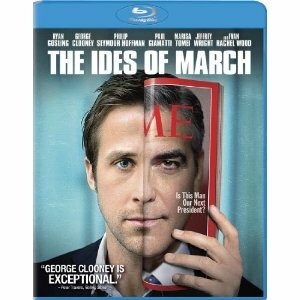 0 Response to "Blu-ray Release The Ides of March"